Richard Crosland and his daughter Emma at Affleck and Moffat can handcraft a suit exactly to your liking. They have been in the tailoring business, making bespoke suits for over 50 years. They deliver outstanding quality work in making that perfect suit to fit the customer’s needs and taste. Select your own lining and decide on the cloth and design of the suit, the choice is yours. Suits are tailor-made for clients all over the country and Emma makes frequent trips to London for those who wish to visit her there. As the leading tailors in the area, Richard and Emma specialise in made-to-measure suits that are tailored in the finest quality Huddersfield cloths. Their attention to detail results in perfectly fitting suits that surpass any other. Making a bespoke made-to-measure suit can take up to 8 weeks, following three stages: Firstly, customer measurements will be taken and the style, cloth and lining will be selected. During the second stage, the customer tries on the half made suit and any necessary adjustments are made. 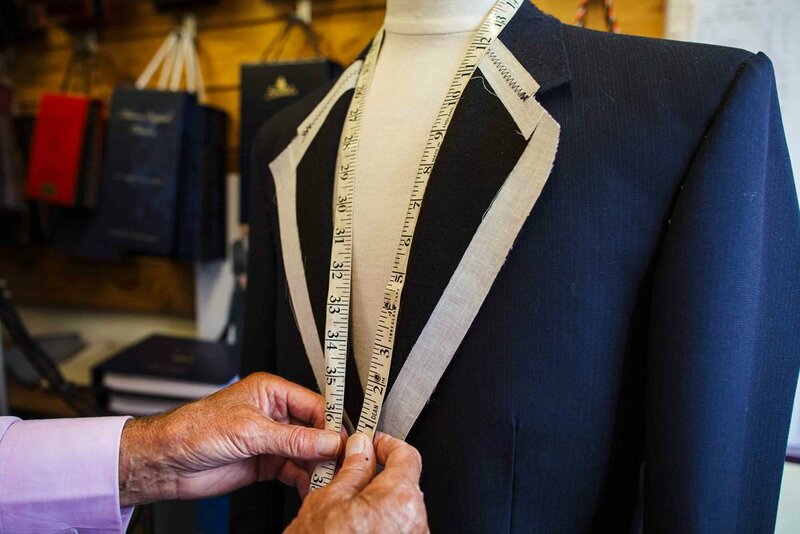 The third and last stage is the final fitting where any minor changes can be made, or the suit can be collected.